Ideal for décor and display work, HP Everyday Satin Canvas produces sharp detail on a neutral white base with a traditional canvas weave, ensuring accurate and vivid color in a slightly-textured, semi-matte, production-oriented canvas. 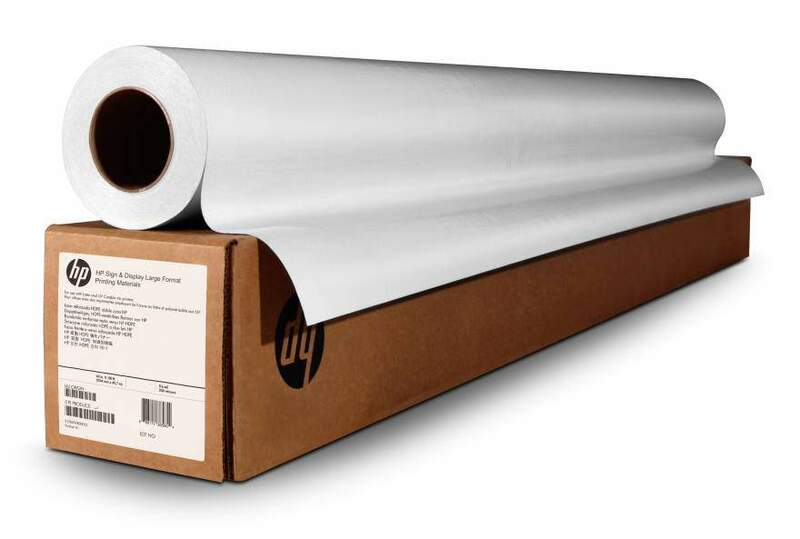 Providing excellent image stability, HP Everyday Satin Canvas and Original HP inks produce long-lasting prints. Because it’s scratch- and crack-resistant, it’s easy to handle and moves quickly through post-print finishing, including stretching for gallery wraps. - Ideal for décor and display work, HP Everyday Satin Canvas produces sharp detail and vivid, accurate color in a slightly-textured, satin, production-oriented canvas.